Make a makeup button out of advertising leaflets. Face buttons are fun to make! 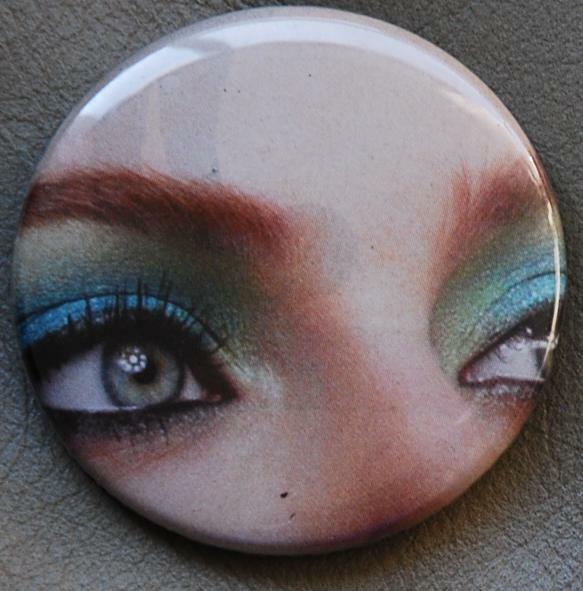 I like this eye button. This entry was posted in Badge-A-Minit and tagged Badge-A-Minit, badge-a-minute, BadgeAminit, Badgeaminute, people on July 31, 2013 by Barry Badge. 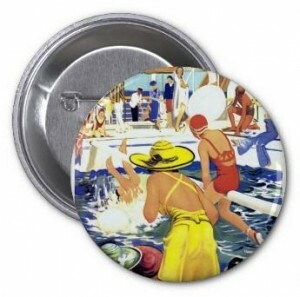 A pool button – Sitting in the shade by the pool is the perfect place for making buttons this summer! This entry was posted in Badge-A-Minit and tagged Badge-A-Minit, badge-a-minute, BadgeAminit, Badgeaminute, summer on July 24, 2013 by Barry Badge. 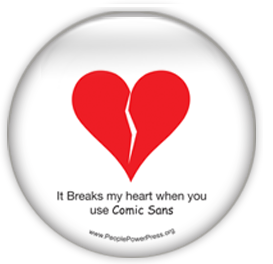 Fonts can be fun, or can make you furious. Here are a couple font buttons, highlighting the most popular (or not!) fonts. 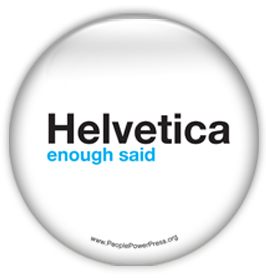 A font button in Helvetica… Enough said! What is your favourite font, and your favourite font to hate? This entry was posted in Badge-A-Minit and tagged Badge-A-Minit, badge-a-minute, BadgeAminit, Badgeaminute, font on July 2, 2013 by Barry Badge.